Jiran Restaurant can host functions and provide catering. Speak to our manager. Jiran Restaurant is spacious, well laid out and tastefully furnished. It begins on the shaded pavement, wanders inside to the split-level restaurant which offers chairs, comfy couches, seating for anything from a romantically inclined couple to a bunchful of conference delegates. The décor is elegant and easy on the eye, well lit, the music is perfect – sophisticated ambient and played at just the right sound level. So now you’re here, choose your spot and study the menu. 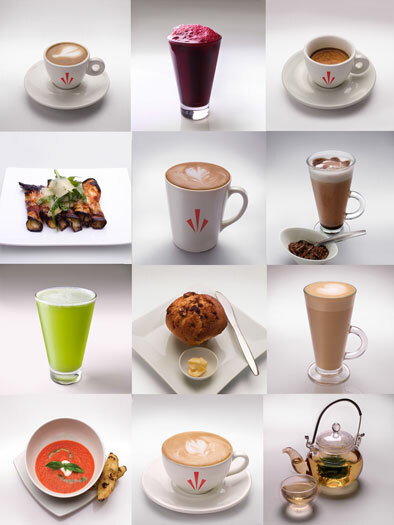 The hardest decision of the day will be to identify exactly which of the coffees on offer will meet your mood and your discerning palate – unless of course you are one of our regulars and you’ve already developed your specific addiction! Or perhaps it’s the specialised green teas that attract your attention; that subtle cleansing feeling in the mouth can set up its own craving. Or maybe you need a refreshing and energising fruit and veggie juice to kick start your system and your brain into activity with a rush of healthy stuff? Something to nibble? Or a proper meal? Something sweet and decadent? Or a crisp salad? Jiran’s expertly devised menu will cater for you; pick and choose for your personal satisfaction whether you are a health nut or an out-and-out indulger. For the coffee aficionado, understanding all the subtleties that make a great cup can be a very enjoyable process. Appreciation for those who strive to achieve the perfect cup, takes on a new respect. Jiran Restaurant is founded in a philosophy grounded in the traditional, European view of coffee - a smooth drink that is meant to be sipped and enjoyed over easy conversation, not a drug to keep you awake, or the commercialised coffee experience - offering quick grab and go caffeine jolts. Not here. Instead, at Jiran you’ll find absurdly high-quality, delicious, rich, espresso drinks that will make you wonder how you ever drank the other stuff. The bean, the roast, and the grind are the three defining elements that can make a good coffee into an extraordinary coffee. The bean: There are two basic categories into which all coffee beans can be sorted; Robusta and Arabica. Arabica: is grown only in high altitudes and requires constant care, these delicate plants produce a coffee bean that has a delightful complexity in taste and a far superior flavour to the Robusta beans. Only 100% Arabica beans are served at Jiran Restaurant. The roast: Besides the delicate art of blending and roasting an excellent coffee, the fact that it should be served within 7 days of roasting is more often than not, conveniently overlooked. At Jiran Restaurant we know that our extraordinary coffee requires expertly selected and blended, freshly roasted beans. The grind: having selected the perfect bean - a hand-cultivated 100% Arabica - and after it has been freshly roasted to perfection, it’s now over to the Barista. 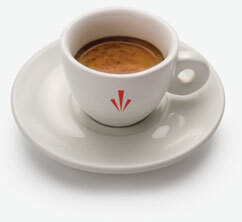 Every coffee is ‘ground on demand’, and for optimal freshness and aroma it must be brewed within 4 minutes of grinding. The Barista must set his grind many times throughout the day; too coarse and a bitter taste dominates; too fine and the acidity comes forward. Get it perfect and you have a Jiran Restaurant extraordinary coffee... enjoy.